We’re making a documentary film about cat rescuers! We’ve been shooting the film for three years. We have funded the production thus far entirely out of our own pockets. On April 24th, we’re launching Kickstarter campaign to raise funds to finish the film. But, we can’t do it alone. We’re assembling an army of retailers and cat rescue organizations to help us get the word out about our film and our upcoming Kickstarter campaign! 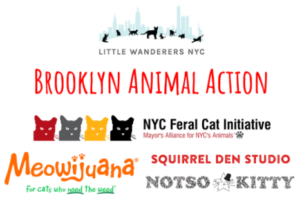 Check out just a sampling of who’s already agreed to help get the word out.